ICOs have withered past the initial wobbly days when they are subjected to much scrutiny and pessimism. Despite the naysayers, the frequency of ICOs in the sometimes booming sometimes whispering cryptocurrency market has only increased. This cements the fact that ICOs are destined for mainstream adoption albeit few regulations. The past few months have witnessed a barrage of new and upcoming ICOs offering alluring big investment opportunities. However, it is advisable not to be naive and get carried away with the promises on offer. What is ICO Statistics in the ICO World? In this blog, we look at some noteworthy ICO Statistics 2019 so that you are better equipped with insights before taking that promising rich road of ICO investment. For ICOs every day is a Friday with a line-up of ICO announcements, release and hosting. Till May on average each day 4 ICOs (approx) have hit the cryptocurrency market. The month of May recorded the highest number 135 total ICOs. 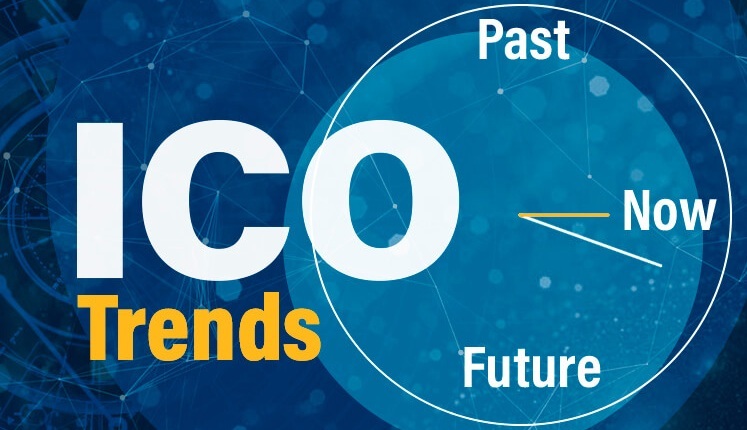 Considering the January figures which recorded 79 ICOs, it is very much evident that ICOs have doubled in 5 months and the road ahead leads to the sky. This year, we witnessed the rise and rise of Ethereum. A staggering 80.17% of the ICOs offered last year were ERC20 standard and this itself explains the dominance Ethereum Blockchain Environment has had on the infant dAPP market. But a closer look at funds raised by ERC20 ICO Tokens draw a somewhat disappointing story. However, we must also keep in mind the Fork must have also forced investors to keep their hands deeply inside their pockets. Despite this it cannot be refuted that the future for Ethereum and ERC20 ICO tokens looks bright with new ERC20 tokens. While Ethereum enjoys current market leadership it must be wary of the faint whispers that have risen from time and again claiming better transaction speeds and scalability. The most prominent among these whispers have been from Waves as well as new blockchains like EOS, NEO and STELLAR. The US has had a mixed stand on regulations as far ICOs are considered. The policy on exchanges vary with states and this has helped catapult US as the leader in terms of total number of ICO’s released this year. Not just in total number of ICOs, the US with alone accounts for nearly 3 Billion USD in funds raised by ICOs. In terms of capital raised US is followed by Singapore and Switzerland. However, in terms of total number of ICOs, UK comes second with 260 ICO launches followed swiftly by Singapore (253) and Russia (251). It would be too early to zero in on the winners of the ICO Olympics but standout performance do deserve a special note. While many may argue that Blockchain has many real world usage apart from ROI alone, investors would definitely beg to differ. Especially when all we see flashing on our social media pages and other websites are rags to rics stories of early cryptocurrency investors. An data analysis of ROI on ICOs of 2018 reveal that there have been some true gems which promise more glory for early investors in days to come. Reportedly, when launched NEO was pegged to $0.03. It currently stands at $53.02. Early ICOs thrived on big crowd founding like Tezos which accrued $232 million in 2 weeks. But now the landscape has changed with ICOs strategically stretching for practical hard caps as well as lockdown periods for bonuses to prevent swift token flipping. A proof of concept will be the key to a successful ICO in 2019. Unless there is a very credible team behind an ICO Project, expecting a great investor response to a white paper and a billion dollar idea alone would be a far cry from ICO Statistics in 2019. Last but not the least, with regulations set to creep in ICOs stand to both lose and gain from the move. Especially those ICOs considered as securities by exchange boards across the globe would increase public trust and eventually attract investors including VCs. As more Legislature, Judiciary and Executives across the globe draft regulations and limitations for ICOs, one should not be surprised if ICOs witness a surge in capital funds as well as public trust. And with new sectors like Healthcare, Insurance and NGOs set to join in the Blockchain bandwagon expect the ICOs to fly even higher but this them with a tail too for better direction.